The basis of a low-cost solution for potable water, water heating & hydro-pneumatic well applications. Water does not flow through this vessel. 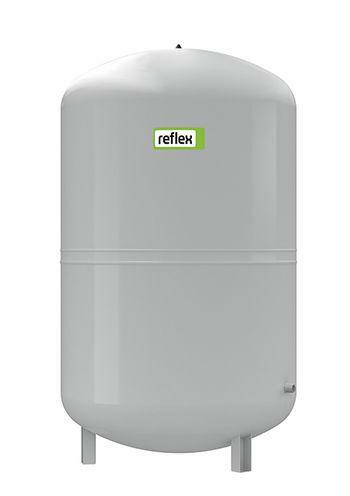 The DE range is fitted with a bladder, which can be replaced from 50 liters on, and is ideal for use in water systems with higher corrosion resistance requirements, as suitable for brine circuits in heat pump systems. 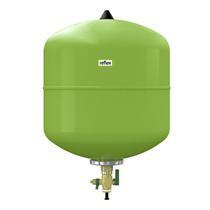 vessels from dia.1000 ltr with pressure gauge integrated in the gas compartment. 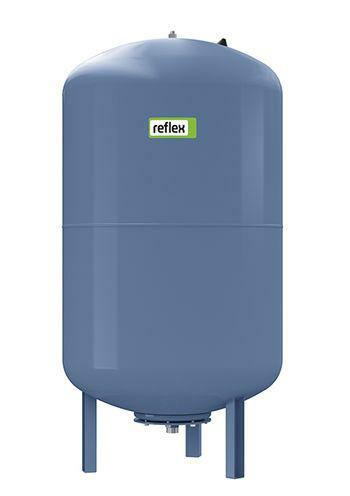 Refix DD is the potable water specialist for the home and is ideal for using with water heaters to save water. Water flows through the vessel, it has a stainless steel connection and thereby meets the ultra-exacting hygiene requirements of DIN 1988. The T-piece required is supplied with the unit and the Flowjet flowthrough valve is optionally available. DIN-DVGW (reg. no. NW 9481AT2534). Approval according to EU Directive 97/23/EC for pressure equipment. 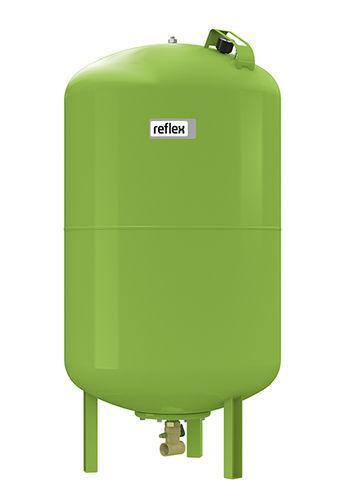 Reflex N are the world’s most frequently used small vessels. The fixed diaphragm has proved itself millions of times over and has shown itself to be extremely wear-resistant, thanks to its evenly-balanced loading. built acc. to EN 13831. Approval acc. to EU Pressure Equipment Directive 97/23/EC.